SpoonSushi from Tokyo – The World's Easiest Sushi – Page 3 – SpoonSushi From Tokyo! 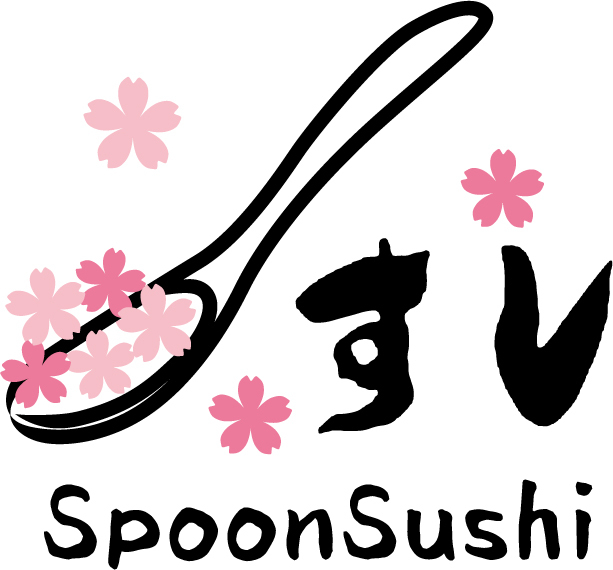 We are trying to spread the world's easiest sushi called "SpoonSushi". SpoonSushi is literally Sushi on a Spoon!!! MAGURO with Avocado, Cucumber, SHISO Leaves, Mayo and Consomme Jelly SpoonSushi! MAGURO (Raw Tuna) and Avocado are always a good combo for making Sushi. Consomme Jelly adds a different flavor than using your usual Soy Sauce. Highly recommended! Ingredients MAGURO (Raw Tuna) Avocado Cucumber SHISO Leaves Mayo Consomme Jelly Sushi Rice (White rice with rice vinegar) Chef's Tips Serve with some well chilled Consomme Jelly! Scallops and IKURA are one of the most popular combinations for Sushi in Japan. Enjoy the natural "sweetness" of the fresh Scallops! Ingredients Scallops IKURA (Salmon Roe) Cucumber WASABI Soy Sauce Sushi Rice (White rice with rice vinegar) Chef's Tips You can also squeeze some lemon or lime for a more refreshing flavor! Canned Tuna with Crab Sticks, Cucumber, SHISO Leaves and Mayo SpoonSushi! Crab Sticks are great for making SpoonSushi, they are easy to get and the best of all they are yummy ! Make some thin strips out of them and serve on the Rice. Ingredients Canned Tuna Crab Sticks Cucumber SHISO Leaves Mayonnaise Sushi Rice (White rice with rice vinegar) Chef's Tips Mix Canned Tuna and Mayo well before serving it on the Rice.